Human slavers attack. Despite trying to fight back, there is nothing the young Leefe can do to save his family and friends. But he doesn't have to. 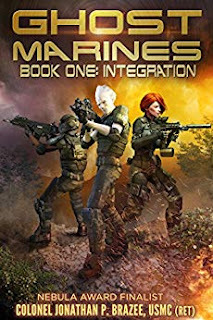 The Imperial Marines arrive in the nick of time, and they hate slavers. Three tri-years later, when the new emperor issues a proclamation to integrate the imperial military with non-human citizens, Leefe is among the first to volunteer. Integration to resurrect the empire as a force for good is challenged by centuries of prejudice against the "dung races." Leefe and the other Wyntonans only want to prove their worth and fight for the empire, but their greatest battles are closer to home. With threats to the empire from both within and without, this grand experiment has the potential to save it . . . or tear it apart.